We can’t predict the time of our death, and very few can even come close to knowing when it will come. What we do know is that saying goodbye is expensive. The costs exceed basic funeral expenses, which can average between $7,300 and $9,300. Often times there are outstanding debts, medical bills, legal fees and potential tax liabilities that are added on top of traditional burial expenses. There is no more traumatic experience than that of losing a loved one. Dealing with grief is more than enough to handle without adding the additional financial burden of final expenses. Making sure these expenses are covered beforehand is a thoughtful way to show your family that your concern and consideration truly never ends. What is Last Expense Insurance? Last Expense Insurance (or final expense insurance) is available in various coverage amounts up to $25,000. Last Expense Insurance is generally issued as a permanent type of life insurance policy, such as whole life insurance. 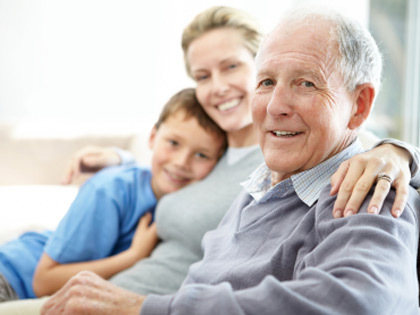 Even families who don’t purchase other life insurance products find that last expense insurance is a practical, affordable way to alleviate the financial burdens associated with end of life expenses. This policy is sometimes referred to as a burial whole life insurance policy. Most permanent life insurance policies are designed to meet specific needs beyond final expenses. Those who carry traditional life insurance sometimes purchase enough to cover the final cost of funeral expenses to ‘protect’ the larger benefit provided by other life insurance policies, allowing them to invest the bulk of their insurance proceeds to provide ongoing income. Another option is a policy that names a specific funeral director / provider as the beneficiary. This allows you to pay for part or all of your funeral expenses with a policy that is specifically dedicated. The proceeds go directly to the funeral home, not to any family members. One of the best ways you can protect your family is to prepare for the unexpected. According to the Center for Disease Control, Accidents continue to be a leading cause of death. By definition, you can’t prevent every accident from occurring…but you can protect provisions to help your family through the stress and financial trouble they bring. Accidental Death Insurance is another vital coverage that provides additional proceeds upon your death as a result of a covered accident. This is payable regardless of any other insurance coverage you may have. Your Legacy Insurance representative can help you choose the coverage that’s best for you. The majority of funeral directors are honest individuals that do business with integrity, but, as in any profession, there are those who will take advantage of a situation for their own financial gain. When someone dies, family members are usually mentally exhausted, in a deep state of grief…and they’re asked to make financial decisions. Too many individuals sign whatever documents are placed in front of them. Even those who are usually careful tend to simply go along with any plan. By preparing in advance, you keep your family from having to deal with the details and financial concerns of final arrangements at a time when they’re least capable of doing so. It could be the best gift you ever give them.